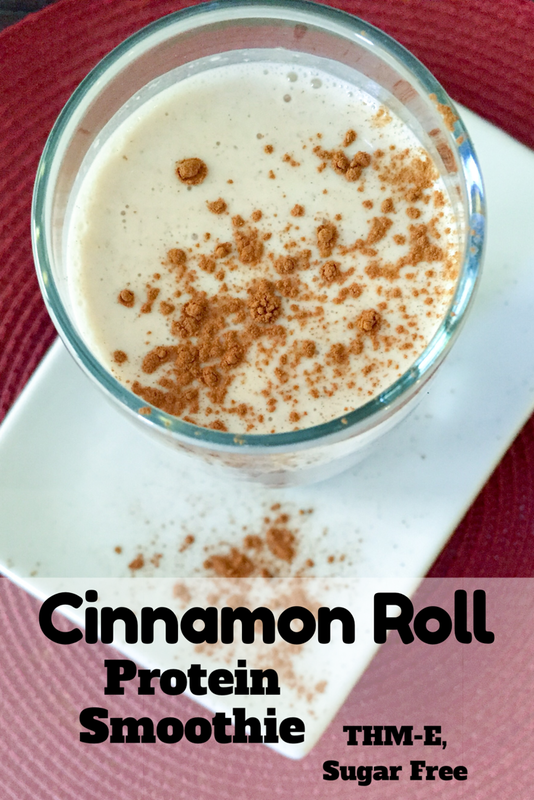 All the flavors of a sweet and tender cinnamon roll in an easy to make protein smoothie. I love cinnamon rolls – in fact in my days before Trim Healthy Mama I would make them fairly often. 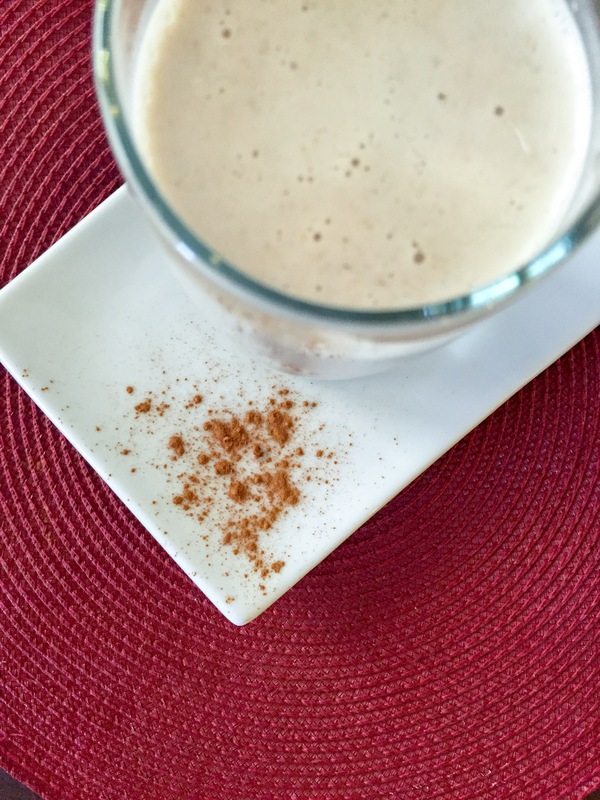 There’s just something about the sweet warm cinnamon flavor that I love! 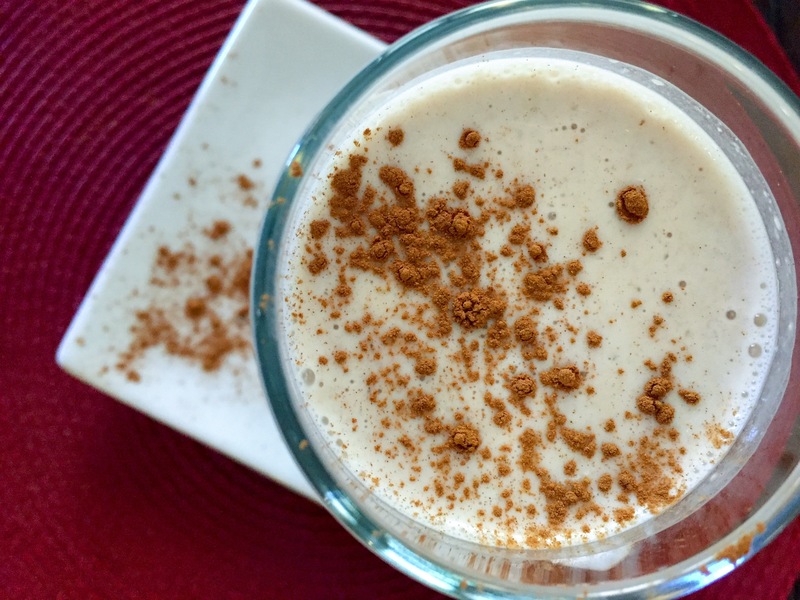 I still love that flavor, and thankfully I was able to recreate it in this simple protein smoothie. This smoothie clocks in at 26 grams of protein, so it makes a nice snack or light meal, and it keeps me full for several hours. The bonus for me in this recipe is that it is an “E” fuel, meaning it is low in fat and contains healthy carbs. I don’t have enough E’s in my life, so I gladly welcome this recipe! Top with an extra sprinkle of cinnamon if desired. I used my Ninja single serve blender for this, and I didn’t have room for the full 2/3 cup of ice. I blended some, then put the remaining ice in and blended again. If you have a larger blender you should be able to do it all at once. You can substitute whatever on-plan sweetener you want in place of the Gentle Sweet – just sweeten to taste. If you like healthy drinks, you may like my Secret Ingredient Chocolate Peanut Butter Milkshake or Grape Good Girl Moonshine recipes! I like cinnamon rolls, too. You know that I have never had a cinnabon cinnamon roll before? I just knew they would be dangerous! Lol. This smoothie sounds really good and although it is way too high in carbs for me, my children would go crazy for it. My 18 month old loves it! Cinnamon roll anything brings me happiness! This looks awesome! Cinnamon rolls are one of my favorite things ever. I can’t wait to try this smoothie! I know, right? Cinnamon roll flavor is amazing! Oh my goodness–this is so super yummy–tastes exactly like a cinnamon roll (i omitted the sweetners and it was still sweet and yummy). Wonderful! I’m so glad you enjoyed it! I have a hard time with E. I would like to have this smoothie with a meal but do not want to go over the carbs limit. Could you give some suggestion please? Hi Shannon! I don’t have macros listed on my recipes yet. This looks great! I am a week into Keto, so I would sub out the oats for hemp seed/chia seeds mixed, and sub the banana for banana flavoring. I can’t wait to try it! How much banana extract do you use in place of the banana. Made this morning! Cannot believe how much it tastes like a cinnamon roll! Delicious! Made it again for my daughter when she got up! It’s a keeper! Thank you!! Are you supposed to cook the 1/4 cup of Old Fashioned Oats before putting it into the blender? I didn’t cook it and the consistency is a little off. Thanks. I don’t have the collagen yet. Can I sub something else? You can use protein powder, or just omit it. Winner!! My 17 yr son (plays football and wrestling) loved it! I had to add a little bit more sweetener. It kills me when he comes into the kitchen and makes cereal or pizza. This was so easy and fast (especially compared to other approved THM smoothies) Thank you!! This did not let me down! Your blog is a go-to for me whenever i am preparing THM meals, snacks and drinks. 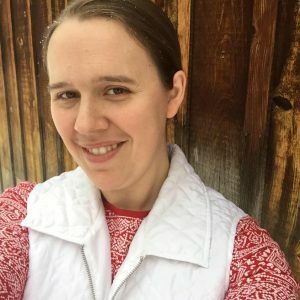 Thank you so much for helping me on my journey!